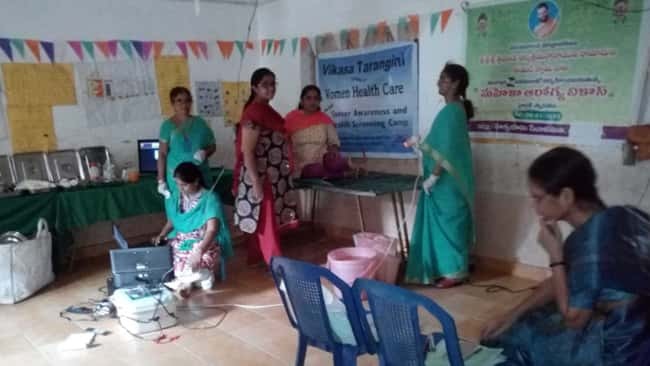 Warangal Vikasa Tarangini conducted health camp for women on Wednesday 25-11-2015 at Walimidi (v), Palakurthy (M), Warangal dist. In this camp a total of 260 women participated and conducted V.I.A and Mammogram tests. 20 members were identified for repeated V.I.A. tests. The test will be conducted at Satya Hospital, Warangal on 02-12-15. The camp was conducted by Dr. Bachu Veena garu with the help of paramedical staff. Free medicines were distributed. 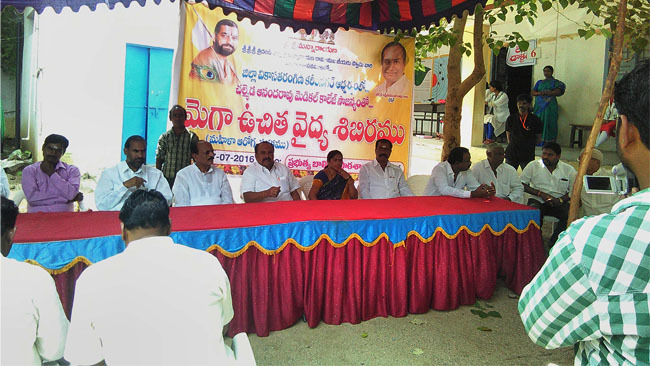 Warangal Vikasa Tarangini President Dr.Jyothi garu and Vikasa Tarangini President of Walimdi(v) Sri Somaiah garu with other Vikasa Tarangini members, Warangal Vikasa Tarangini volunteers and Ex President of Vikasa Tarangini Central committee Sri K.Mahender Reddy garu and Walimidi(v) Sarpanch and M.P.Tc participated in this camp.